Nintendo is back with another tiny version of a piece of its history, and hopefully for fans, a chance to keep that history from repeating itself. 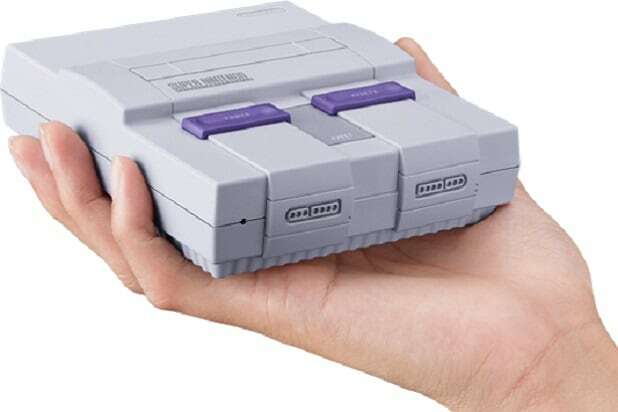 After the success but short supply of the NES Classic earlier this year, Nintendo today announced another miniature release of one of its elder gaming machines. This time, it’s the super-popular 1990s console, the Super Nintendo Entertainment System. The NES Classic was a tiny version of the 1985 console the Nintendo Entertainment System, but instead of selling separate games, Nintendo packed 30 games in with the tiny machine. The little console blew up the holiday season, with so many people trying to buy one, Nintendo couldn’t keep them stocked. The SNES Classic takes the same approach — it’s a mini version of the Super Nintendo Entertainment System from 1991, and comes with 21 games saved in the hardware. And Nintendo fans will be hoping the company avoids a repeat of barren shelves and short stock when the console is released this fall. The console also includes “Star Fox II,” a Super Nintendo game that never made it Stateside. Fans have been hoping and speculating about a “Classic” edition release of the SNES since Nintendo announced the NES Classic last year. The company shipped about 2.3 million NES Classic units, but the demand wound up being its undoing and Nintendo discontinued the mini-console in April. At the time, Nintendo said the company didn’t have the resources to keep up with demand for the NES Classic. Presumably, that’s because it was thinking about it’s recently released new hardware, the Nintendo Switch, and the SNES Classic. The fact that Nintendo couldn’t keep up with demand and then promptly canceled the NES Classic is undoubtedly worrying. The SNES is one of the best-regarded gaming consoles ever made. If the NES shocked Nintendo with its demand, the speed at which the SNES flies off shelves is likely to blow a few minds. The SNES Classic will cost $79.99 and is due to hit store shelves on Sept. 29. Nintendo hasn’t released any information about what retailers will carry the console, however.